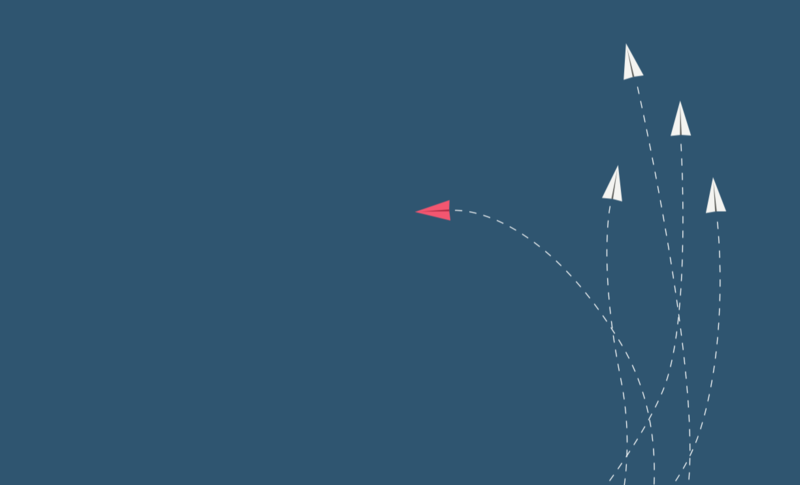 How to set up company in India? Central and State Legislatures during 2018 had passed amendments vide CGST (Amendment) Act, 2018, IGST (Amendment) Act, 2018, respective SGST (Amendment) Act, 2018 and UTGST (Amendment) Act, 2018. These amendments have been made effective from 1st February 2019. Though the intention of this change is to ‘rationalise’ the manner of utilisation of input tax credits, this can also imply that in certain situations tax payers must pay additional tax inspite of input credits being available. This would especially impact those businesses who have higher inter-state procurements and intra-state sales. 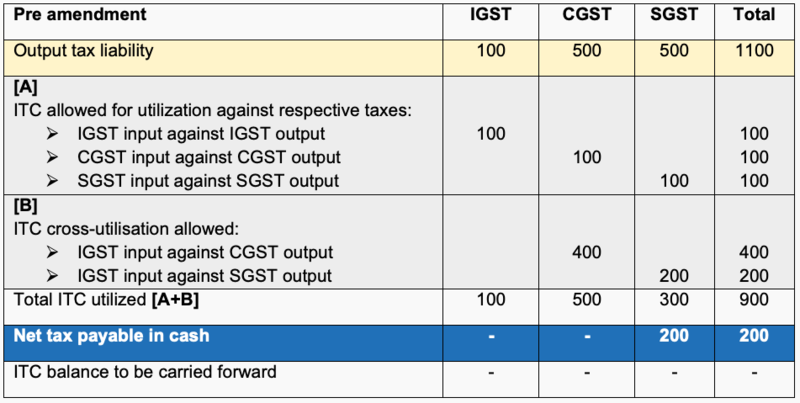 As we may observe, the net tax payable in cash has increased from 200 to 300 due to the amendment, and CGST credit is blocked to the tune of 100. 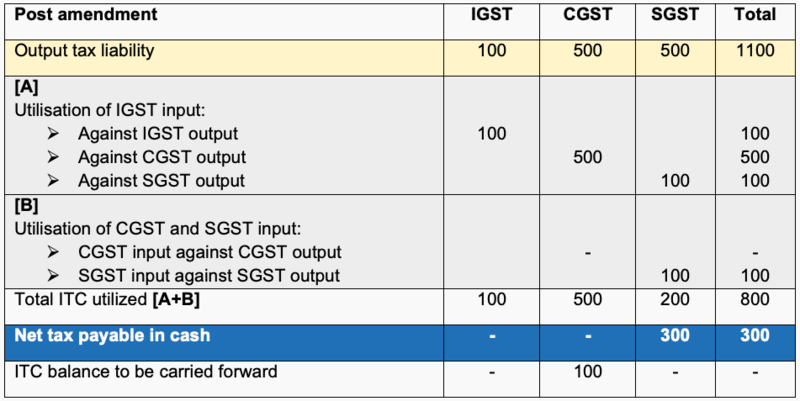 In a nutshell, as IGST credits are to be utilised before utilising CGST credit against CGST liability, CGST credits can get blocked for utilisation – as CGST credits are not allowed to be utilised against SGST liability. This impact on cashflow must be noted by those businesses procuring more inter-state or by way of imports of goods/services and having higher intra-state sales. In case of any questions, please do not hesitate to reach out to us on pavan@bclindia.in or pradeep@bclindia.in or write to us on bclindia.in/contact/. We would be glad to be of your assistance. 4th & 5th Floor. Vishnu Towers. No. 20. 9th Cross Road. ITI Layout. JP Nagar 1st Phase. Bangalore 560 078. Boeing Co on Wednesday abandoned its 2019 financial outlook, halted share buybacks and said lowered production due to the grounding of its fastest-selling 737 MAX jet after two fatal plane crashes in five months had cost it at least $1 billion so far. Welcome to the Firm of the Future! BCL India is in the elite club of 15 leading global accountants!